Star Wars animated universe head honcho (with the best hat in the galaxy) Dave Filoni has kept the galaxy far, far away torch burning for years and continues to beat the drum for quality stories told in the cartoon style. One of those stranger stories in the Star Wars: The Clone Wars animated film that transferred over to Star Wars Rebels has some deep ties to the trinity of George Lucas‘s original films. We’re talking, of course, about Captain Rex, CT-7567. 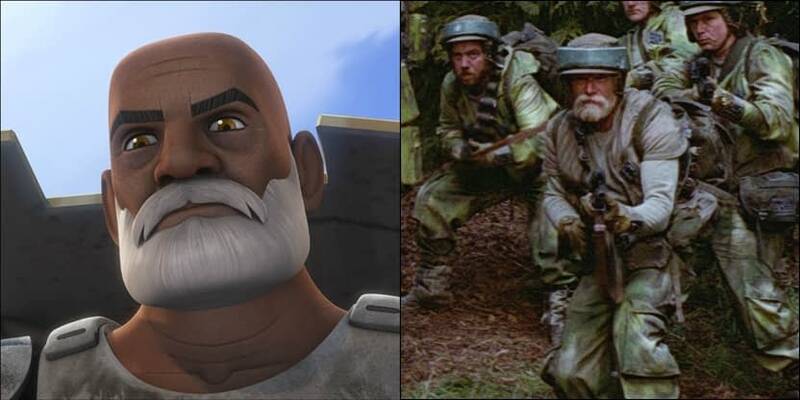 In a recent interview with IGN, Dave Filoni talked a bit on the infamous fan theories that the animated Captain Rex is the same Rebel strike force leader seen on the forest moon of Endor in Star Wars: Return of the Jedi. His comments are lengthy, but they’re certainly interesting. IGN: You threaded the needle on the fan theory that Rex turned up in Return of the Jedi. Was that part of your master plan all along, or did you pick up on the fan theory and say “Yeah, that’ll be fun, to incorporate that”? Filoni: It’s one of those things that gets brought to your attention by other people at work and they’re like “Hey, people are saying this,” so I’m like “Oh, that’s fascinating – haven’t really thought about that, that’s weird.” But on some of those things, it’s like you’re taking a character that had existed prior to my coming along as part of that Rebel Commando Unit, and I didn’t want to lay it down in stone one way or the other, if that is Rex, is not Rex. For some people it’s fun to believe it is Rex and some people don’t want to believe it’s Rex, and I’m fine either way with that and I think I left it in a state where you could believe one way or the other. Maybe I’m too diplomatic that way, but I don’t know. It’s not important to my story that Rex be that guy. Rex could fight the battle at the end of Endor and not be that guy. He could be somewhere else in the Battle of Endor. So it’s maybe that’s cheating and maybe that’s being complicit, I don’t know, but I think it’s fun. I love that fans make that connection and I don’t like saying the term “I like when fans do that…” because I still feel myself as a fan. And so it seems weird to me to say “Oh, those other people” when I feel like I’m just a part of them. Because I get why they do it, because I do it all the time when I watch stuff or when I think of things and you make connections. It’s like the greatest, as a fan of these things. It’s like when you saw Predator 2 and you saw the Alien skull and the collection of things that the Predators had, you were like “What? 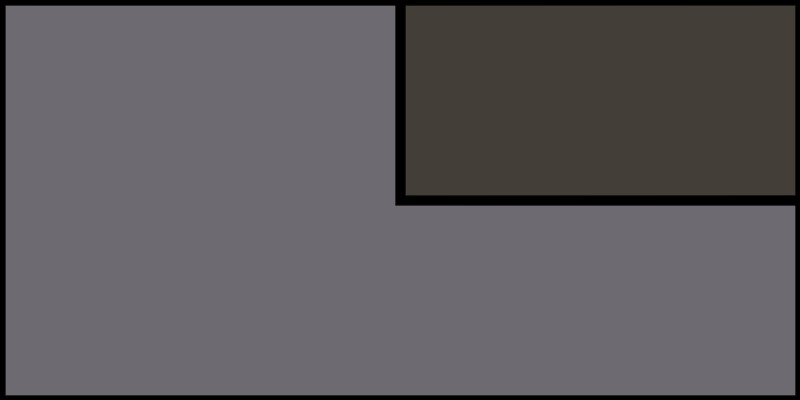 !” That’s mind-[blowing]. It’s like all you could talk about when you left the theater, is that Aliens and Predators exist in the same universe. And for us back then, that was incredibly exciting stuff. So those connections are special and they’re exciting when you can do them. That’s why when Lucasfulm did Rogue One and we just had Chopper in the hangar – he just rolled by. He didn’t roll up to camera, he didn’t interact with R2, he just kind of went by. The story’s not about him, but he was there, right? He’s in the background, and so was the Ghost, but nobody talked about the Ghost. Hera didn’t have a line in the movie, but the Ghost was there. I love those connections because I think it gives back to the fans, that deep connection that they love and that insider knowledge which they discovered. And so when they’re gasping and the other people [don’t get it] and they point and their friends go “What? What? What’s everybody excited about?” “Oh, you don’t know? Well you don’t watch Star Wars Rebels, because that was Chopper.” And that so much of being a fan is about that, right? You know, I knew all the bounty hunters’ names in Empire. “How do you know that? They never say it.” Well, I have the figures. It’s the fun of it, something that goes that deep.